Congratulations to Canada’s Crispin Duenas for capturing a Silver medal at this year’s Pan Am Games in Guadalajara Mexico. Crispin Duenas participated in the men’s Olympic recurve class and was second after the qualification round with 1337 points and breezed through to the quarterfinals with 6-0 victories over Cristobal Antonio Merlos of El Salvador, Jaim Quintana of Cuba and Jake Kaminski of the USA. In the semi-finals Crispin faced Daniel Pineda of Colombia, the eventual Bronze medal winner, in a very tough match reaching 5 sets which Crispin won 6-4 to advance to the Gold medal match. In the Gold medal match, Crispin faced number one ranked Brady Ellison of the United States. Crispin fought until the last arrow in a match as it needed to go to a fifth set. 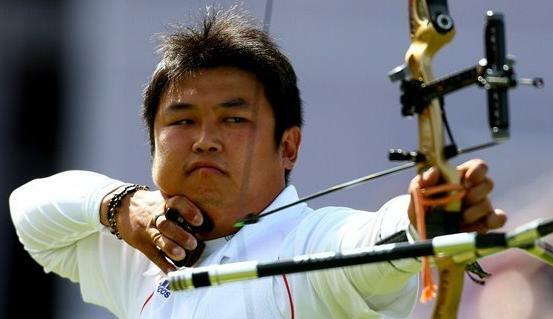 The US archer was ahead 4-2, but in the fourth set Crispin shot a perfect 30 to tie the match. Ellison’s 29 was just a single point better than his Crispin’s 28 in the fifth end, and Ellison captured the Gold with a 6-4 win and Crispin captured the Silver medal. Congratulations to the entire Canadian team for their efforts at the Pan Am games. 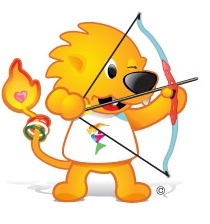 On May 18th to May 19th Richmond Green Community Sports Centre will host the 2011 Ontario High School Archery Invitational Tournament, a sanctioned Ontario Federation of School Athletic Associations (OFSAA) event. This is a great tournament for high school aged archers, divided up by gender (male and female) and bow class (Standard, Olympic, Compound Limited and Compound Unlimited). This is a double 300 shot on a 60 cm face at 18 meters with the compound classes shooting the first day and the recurve archers shooting the second day. The winners receive a medal for gold, silver or bronze. For those schools that are lucky enough to have three or four athletes in the same division (e.g. Female Standard Class) participating, there is also a team event, for which the winning team receives a championship banner to be displayed at their school. All full-time high-school athletes are eligible to participate. A minimum qualifying score for 175 of 300 on a 60cm target face is required however; this may vary depending on the number of archers in your high school archery club. 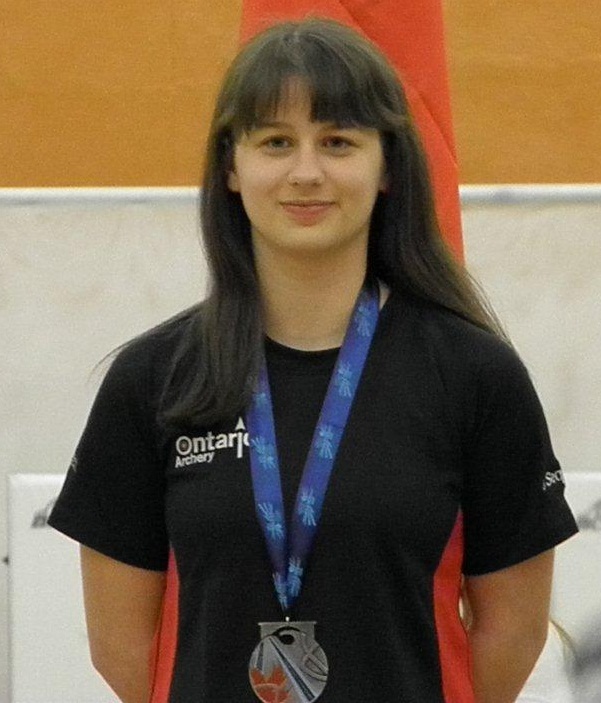 Last year was my first time competing at the OFSAA High School Archery Invitational Tournament and I was very fortunate to win the silver medal. Molly Solc of LaSalle Secondary School in Kingston won the Gold and Chantelle Petrie of Regina Mundi College won the Bronze. This year I have the great pleasure to have my younger sister Sydney compete with me for our high school, Kingston Collegiate and Vocational Institute (KCVI). KCVI is one of the oldest high schools in Canada and is the high school of our first Prime Minister Sir John A Macdonald. 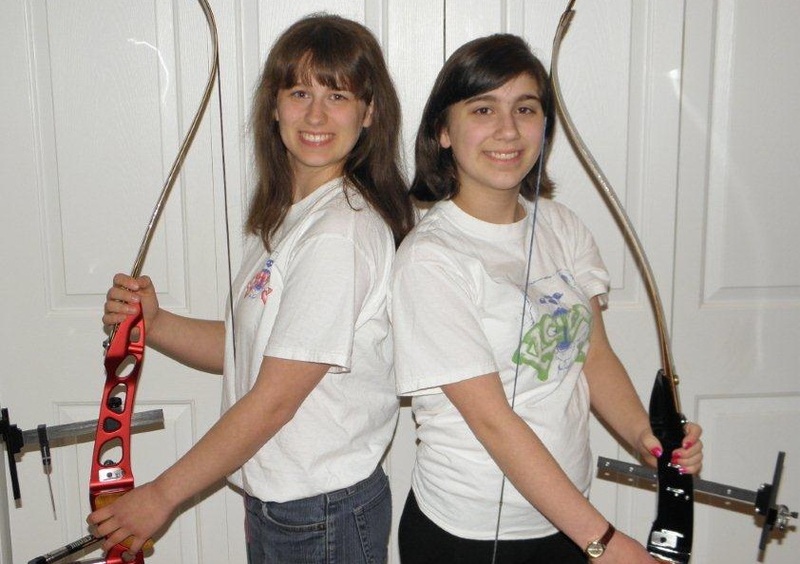 Together, Sydney and I hope to represent our school well and we are investigating the possibility of starting our own KCVI archery club to compete as a team at next year’s event. With over 400 high-school aged athletes competing every year, it is a great opportunity to meet new friends and re-unite with old friends from all over the province of Ontario. If your school has an archery club or if you are interested in participating in next year’s event , please contact OFSAA and/or the OAA (Ontario Association of Archers) for more details including necessary signatures, coaches and principal’s permission. I recently returned from the US NFAA Indoor National Field Championships held in Louisville Kentucky. This tournament is a great opportunity to experience a large indoor tournament and get some exposure to the pressures of higher level competition. This year there were over 1300 participants in one of the world’s largest indoor field tournaments. 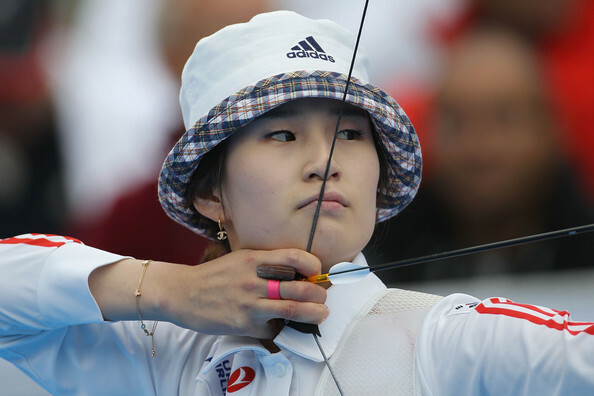 The tournament is held over the course of three days with Friday as practice, the weekend of competition and also boosts a large archery equipment show in the world. This year I was asked to participate on behalf of Ontario Association of Archers along with four other Ontario archers including Adam Serdynski, Eric Peters, Chantelle Petrie and Sheila Madahbee. Team Ontario managed to capture three medals, Shiela won Gold in the Adult Female Bowhunter Freestyle, Adam won silver in Youth Male Freestyle Limited Recurve/Longbow and I had the good fortune of capturing the silver in the Young Adult Female Freestyle Limited Recurve/Longbow division. Congratulations to all my Ontario team-mates. So if you want to experience a great, fun, large indoor tournament, I highly recommend registering in the future. I returned last night from Halifax and the Canada Winter Games . I shot for Team Ontario in the Individual event and after the first two days of qualification ranking, I was tied for third place and received an automatic bye to the quarterfinals held on Thursday. After winning my first match was against Manitoba (104-99), I faced number 2 seed Alberta winning by a single point (101-100) to advance to the Gold Medal match. 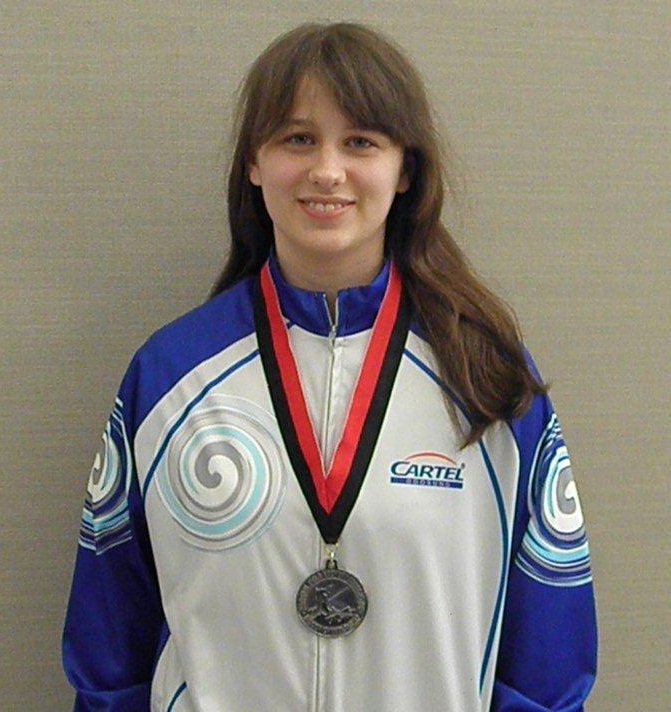 I then faced number 1 seed Quebec however I lost by only 2 points 112 -110 (out of 120) to capture the Silver medal. On Friday, Jin Lee of Thornhill and I teamed up for the team event, using our combined scores from the qualifications rounds, we were ranked fourth and received a bye to the quarterfinals. After winning our match against fifth seeded British Columbia, we lost to first seeded Alberta to move in the Bronze medal match against third seeded Quebec. Unfortunately, Jin and I were unable to upset Quebec and we lost the Bronze medal match by a single point 222-221 (out of 240). I really enjoyed competing and forming new friendship with these awesome archers from across Canada. The Canada Games were an amazing experience and since the aged limit is 22, I hope to have another opportunity to represent Ontario at the next Canada Winter Games in four years in Prince George BC.